Maximum performance. Compact yet powerful. Sturdiness above all. A wide range of planetary mixers: from 5 to 80 litres. Easy to add ingredients during operation. A “clip” system, without screws, for easy removal and cleaning of the splashguard. 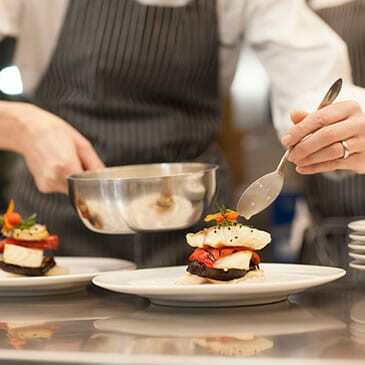 Dough kneaders, are the best choice for professional bakeries and pizzerias. 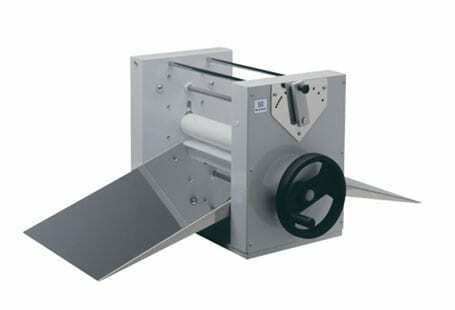 We offer fork and spiral kneaders for preparing specialty bread, pizza dough and pastry. Optimum kneading quality is reached every time by using either the slow speed for traditional kneading or an alternative speed for fast kneading. Kneading units have a user-friendly touch control panel, with a timer for precise control. Additionally, a safety device stops the machine when the protection screen is open. 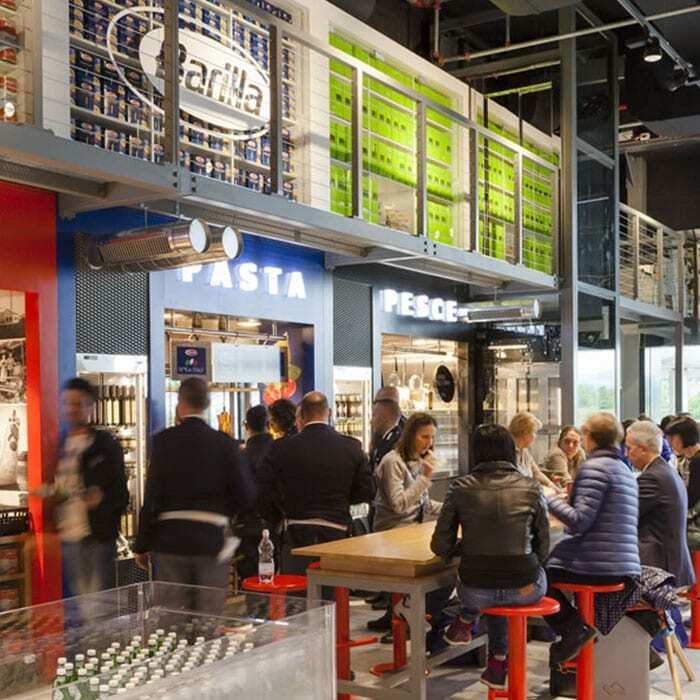 Electrolux’s dedicated restaurant chains team recognises your need for consistency. 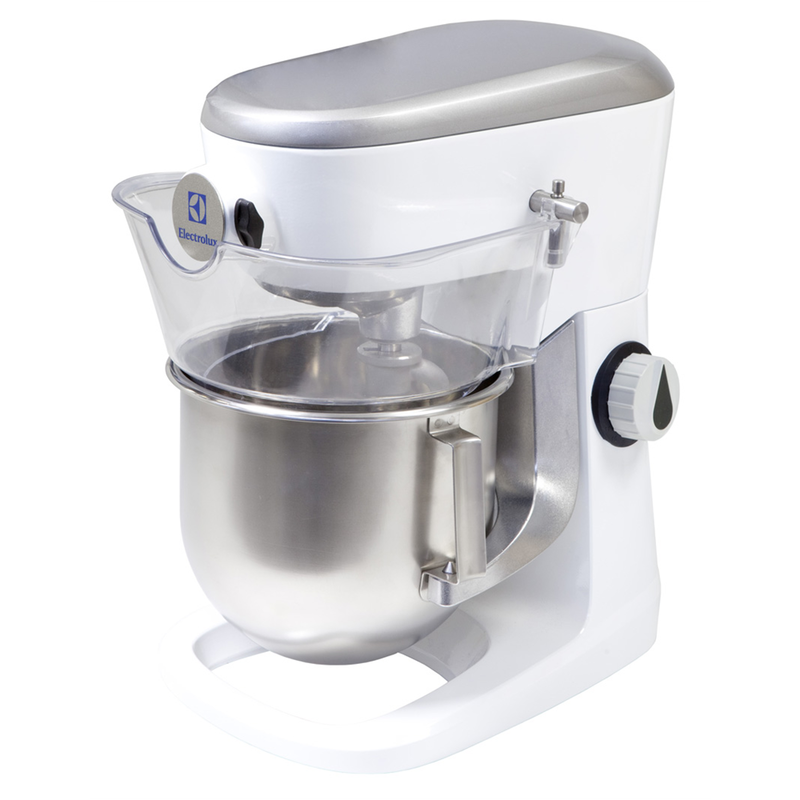 Professional beater mixer that provides all the basic mixer functions: kneading of all sort of pastes, mixing of semi-liquid products, emulsions and various sauces. 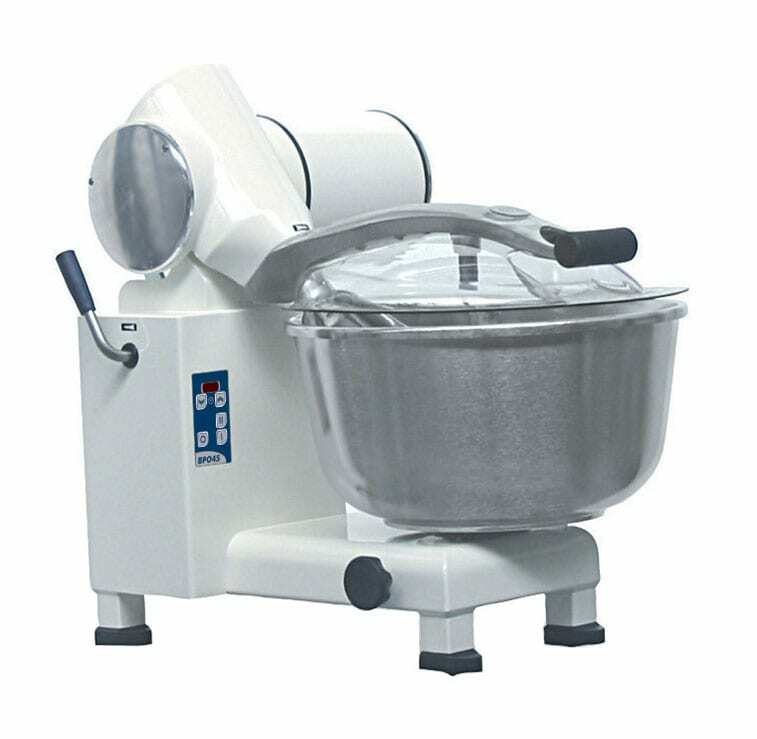 90 liter bowl capacity, suitable for kneading special breads, viennese pastries and pizza dough. Transparent protective screen to reduce flour dust release in the work area during slow kneading. Bowl positioned in front of the machine to facilitate dough removal. Spiral dough kneader with motorized bowl (not removable). Safety device to stop the machine when the protection grid is opened. Low voltage control panel, with buttons.